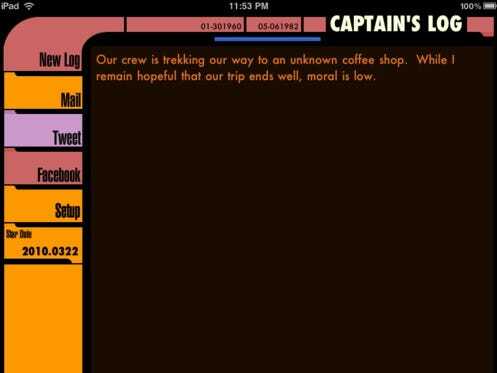 A developer has created an iPad app that makes your iPad look like one of those Star Trek handheld tablets, Gizmodo reports. To any sci-fi nerds (and that includes yours truly), the iPad looked too much like the handheld tablets that proliferate in the various Star Trek TV shows, starting with Next Generation. The iPad has obviously been extremely popular to geeks, who have been dreaming and fantasizing about tablet computers for decades, but none of that means the iPad will have success in the mass market.